Professor Kathinka Evers, PhD, is SP-leader of the Ethics and Society Subproject 12, and WP-leader of the Philosophy and Neuroethics WP12.2 .Since 2002, she is senior researcher and professor of philosophy at the Centre for Research Ethics & Bioethics (CRB) at Uppsala University and Professor ad honoram at the Universidad Central de Chile since 2013. 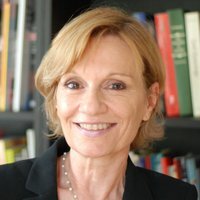 She has been Invited Professor on the Chair Condorcet at École Normale Supérieure, Paris (2002); at Collège de France, Paris (2006 -7); and at Centro de Investigaciones Filosoficas, Buenos Aires (2012). Her research focuses on philosophy of mind, neurophilosophy, bioethics and neuroethics. She directs the teaching and research on neuroethics at Uppsala University, where she started the first courses in the subject. 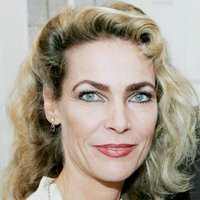 She is also interested in the social responsibility of science, and was between 1997 and 2002 Executive Director for the Standing Committee for Ethics and Responsibility in Science of ICSU (International Council for Science); and 2008-2014, Expert in Scientific Review Panels for the ERC on ‘The Human Mind and Its Complexity’. Since her first public lectures at the University of Oxford in 1990, she has lectured extensively at universities and research centres in Europe, the U.S., South America, Asia, and Australia. Interview with Kathinka Evers in 3AM magazine. 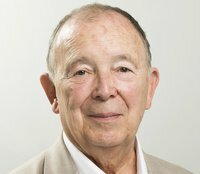 Jean-Pierre Changeux PhD is International Faculty at the Kavli Institute for Brain & Mind University of California San Diego and professor at the Collège de France & Institut Pasteur, Paris. His PhD studies in the laboratory of Jacques Monod, led to the discovery that chemical signals regulate the biological activity of proteins by acting at “allosteric” sites distinct from the biologically active sites via a conformational change (1961-1965). He then proposed (1964) that this type of regulation applies to receptor mechanisms engaged in the transmission of chemical signals in the nervous system and through his life-time work, validated this insight. His studies were initiated by the first identification of a neurotransmitter receptor: the nicotinic acetylcholine receptor together with Lee & Kasai (1970) and culminated by a contribution, together with Corringer & Delarue, to establishing the 3-D structure and conformational transition of prokaryotic orthologs of nicotinic receptors by X-ray crystallography and molecular dynamics (2005-15). He and his colleagues also deciphered the topology of allosteric modulatory sites for pharmacological ligands (1996-2011), thereby substantiating a novel strategy of drug design based on allosteric modulation. Moving to neuronal networks, Changeux, together with Courrège & Danchin (1973, 1976) formulated and experimentally tested the theory that long-term epigenesis of neuronal networks occurs by the activity-dependant selective stabilization, and elimination, of developing synapses. 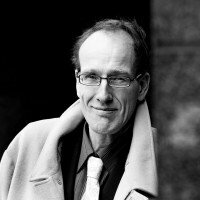 Last, in particular with Dehaene, he proposed and tested models for defined cognitive tasks and their pharmacological modulation in particular, a neuronal hypothesis for conscious processing, implicating a “global neuronal workspace” composed of a brain-scale horizontal network of long axon neurons (1991- (1998-2015). Changeux has published several books including Neuronal Man (1985), What Makes Us Think? (with Paul Ricoeur) (2002), Physiology of truth (2002). The good, the true the beautiful. A neuronal approach (2012). His academic accolades include the Gairdner award (1978), the Wolf prize (1983), the Goodman and Gilman Award in drug receptor pharmacology (1994), the Balzan Prize (2001), the US National Academy of Sciences Award in Neurosciences (2007), the Japanese Society for the Promotion of Science Award for Eminent Scientists,Tokyo (2012) and the Olav Thon Foundation's International Research Award for Natural Sciences and Medicine, Oslo (2016). James Giordano PhD, MPhil is a Senior Researcher and Task Leader in SP-12, The Human Brain Project Neuroethics and Philosophy Group at the Centre for Research and Bioethics (CRB) of Uppsala University, Sweden, where his work focuses upon dual use applications of brain science, and issues arising in and from the studies of consciousness. Dr. Giordano is Professor in the Departments of Neurology and Biochemistry, Chief of the Neuroethics Studies Program of the Pellegrino Center for Clinical Bioethics, and Co-director of the O’Neill-Pellegrino Program in Brain Science and Global Health Law and Policy at the Georgetown University Medical Center, Washington DC, USA. He serves as an appointed member of the US Department of Health and Human Services (HHS) Secretary’s Advisory Council on Human Research Protections, is Distinguished Visiting Professor of Brain Science and Ethics in the Department of Integrative Health Promotions at the Coburg University of Applied Sciences, Coburg, Germany, and was formerly JW Fulbright Professor of Neuroethics at the Ludwig Maximilians University, Munich. 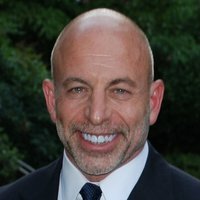 A neuroscientist and neuroethicist with over 30 years’ experience in basic and translational research in neurological and psychiatric disorders, his current work addresses neuroethical and policy issues fostered by research and uses of advanced neurotechnologies in medicine, public life, and national security. He is the Co-Editor in Chief of the journal Philosophy, Ethics and Humanities in Medicine, and Associate Editor of the Cambridge Quarterly of Health Care Ethics. In recognition of his work, he was elected to the European Academy of Science and Arts. Georg Northoff is a philosopher, neuroscientist and psychiatrist, holding degrees in all three disciplines. 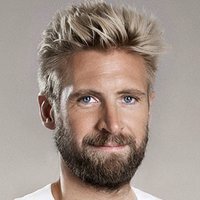 Being originally from Germany, he is now working in Ottawa/Canada where he researches the relationship between the brain and mind in its various facets focusing on the neural and biochemical mechanisms related to higher-order mental functions like consciousness and self in both healthy subjects and psychiatric disorders like depression and schizophrenia. “The question driving me is: why and how can our brain construct subjective phenomena like self, consciousness, emotions.” He is one of the leading figures in linking philosophy and neuroscience in a non-reductive way and author of 270 journal articles, 15 books including the recently released “Neuro-philosophy and the Healthy Mind” 2016 Norton Publishing, New York and 50 book chapters. Arleen Salles, PhD. M.A. is a Senior Researcher in the Neuroethics and Philosophy Group at the Centre for Research and Bioethics (CRB) of Uppsala University. She is also a task leader and research collaborator in the Ethics and Society subproject (SP12) of the Human Brain Project and SP12’s Communications Officer. Dr. Salles is the Director of the Neuroethics Program at CIF (Centro de Investigaciones Filosoficas) in Buenos Aires, Argentina and professor of philosophy at Universidad Argentina de la Empresa in Buenos Aires. Her research interests range from issues in moral philosophy (such as the connection between emotional rationality and intentionality, and the status of aversive emotions like disgust), to bioethics (the nature of the field, for example, the ethical issues raised by cultural, ethnic, and gender differences in the health care context) and neuroethics (the nature of the field, the normative relevance of neuroscientific findings and privacy and identity concerns, among others). She is currently working on a conceptual analysis of human identity and the self, and the impact that some neuroscientific findings could have on what it means to be human. Michele Farisco PhD, Associate Professor of Moral Philosophy, is part of Centre for Research Ethics and Bioethics neuroethics research team. He holds a degree in Philosophy from University of Naples "L'Orientale" in 2003, a PhD in "Ethics and Anthropology. History and Foundation" from University of Lecce in 2008 and a Master degree in Biolaw from the University of Rome "Lumsa" in 2009. He spent time on an exchange grant from the European Neuroscience and Society Network within the European Science Foundation joining the Coma Science Group of the University of Liège (Belgium). He is the head of the "Science and society" research unit of Biogem Genetic Research Centre in Ariano Irpino (Italy). He is the author of four books and several articles about posthuman philosophy and philosophical, ethical and legal implications (ELSI) of genetics and neuroscience. 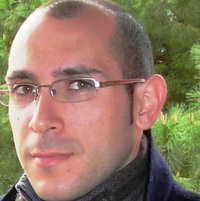 Michele Farisco is currently working on his second PhD about the neuroscientific and conceptual issues of consciousness and its disorders. He is a member of the neuroethics and philosophy work package of the HBP's Subproject 12. Karl Sallin is part of CRB's neuroethics research team. He is a paediatric resident at Astrid Lindgren Children's Hospital, Karolinska University Hospital. He is on the hospital's Ethics committee and a member of the Swedish Society of Medicine's Ethics committee. Karl Sallin holds a degree in Philosophy from the University of Cambridge where his main foci were on the philosophy of mind, language and mathematics. In his clinical work Karl Sallin has been involved with children suffering from Resignation Syndrome (RS). RS is a severe condition in asylum-seeking refugee adolescents most notably resulting in a seemingly unconscious state. Karl Sallin's PhD project is part of the European Flagship Human Brain Project. 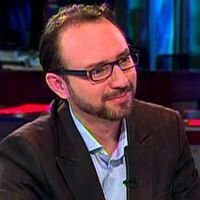 Manuel Guerrero Antequera is a sociologist and bioethicist with extensive experience in human rights. He holds a Postgraduate Diploma in Medical Ethics and Research Ethics, and a PhD in Sociology. He works as Research Coordinator at the Department of Neurobiology, Care Sciences and Society, in the Division of Neurogeriatrics at the Karolinska Institutet, Sweden. He is Visiting researcher in neuroethics at the Centre for Research Ethics & Bioethics (CRB), Uppsala University, Sweden, and Assistant Professor in bioethics at the Department of Bioethics and Medical Humanities in the Faculty of Medicine, University of Chile. In the HBP he is task leader for the Ethics Rapporteur Program and PORE, as part of the Ethics Management work package, located in the Ethics and Society subproject. 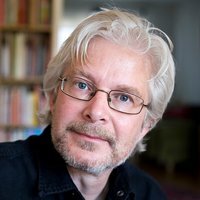 Pär Segerdahl is Associate Professor of Philosophy at Uppsala University. His publications include Language Use: A Philosophical Investigation into the Basic Notions of Pragmatics (Macmillan 1996), and Kanzi’s Primal Language: The Cultural Initiation of Primates into Language (Palgrave, 2005). He has published papers on linguistic theory, conversation analysis, philosophy of mind, metaphysics, Wittgenstein, ape language research, animal welfare, gender theory, and human-animal relationships. His work is held together by an overarching interest in meta-philosophical questions about the nature of philosophy, its relation to science and role in society. He works at the Centre for Research Ethics and Bioethics as researcher, and as editor of a research blog: The Ethics Blog.